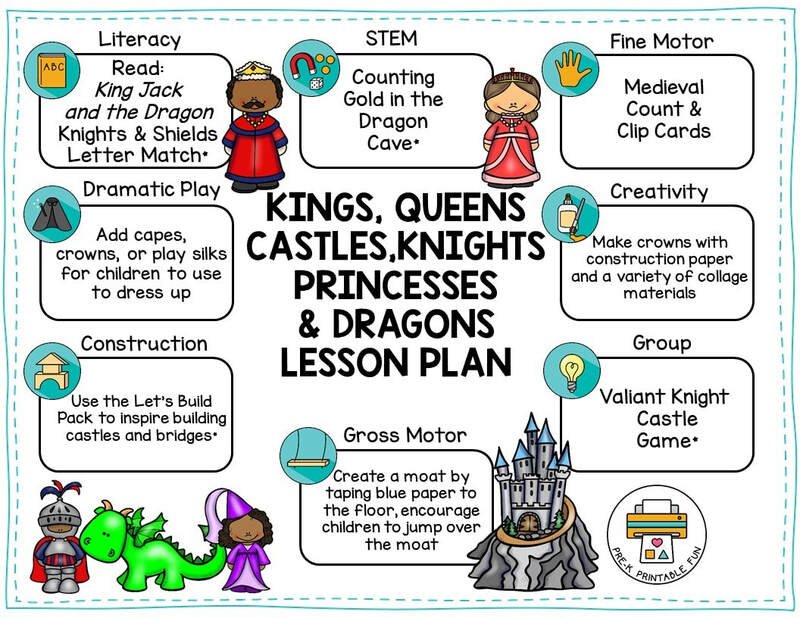 can be found inside my Kings, Queens, Castles, Knights, Princesses & Dragons Activity Pack! The following Medievel related Printable activities can be purchased in my shop or downloaded in the Pre-K Printable Club Member Download area. Not a member?Join today for unlimited access to all of my printable products! Add a variety of capes, crowns, or play silks to this space for pretend play. Create a castle using a cardboard box. Provide a treasure chest and play gold (poker chips spray painted gold) for pretend play. Provide a box of assorted table items for a feast: such as plastic goblets, chargers, and wooden candlesticks. This cardboard castle was created by community member Darlene G.
A large sponge dipped in gray paint makes great stones! Community Member Stephanie J. created this DIY castle in her space using a variety of cardboard boxes! Add a variety of small world play items to your construction space such as: castles, Knights, Horses, Dragons, Kings, Queens, Princes and Princesses. Add a variety castle building block sets, and print rich items such as photos of real castles (Calendars are great for these) and the Let's Build Pack.